Lately, whiskey lovers have been inundated with headlines about dwindling supplies of bourbon and single malt Scotch. Don’t panic: there’s more—and better—rye whiskey available than ever before. Rye whiskey is clearly enjoying a comeback. Since 2009, sales of rye whiskey have soared more than 500 percent, reaching over a half-million cases in 2014, according to the Distilled Spirits Council of the United States (DISCUS). Annual retail sales total about $300 million. Much of that has been driven by bartenders embracing the spirit—which is essentially, any whiskey made with at least 51% rye—for adding sizzle and spice to cocktails. Luckily, there’s also been a surge in rye supply to meet that demand. Since 2009, sales of rye whiskey have soared more than 500 percent, reaching over a half-million cases in 2014. In addition to plenty of familiar names, this month’s lineup includes a number of newer producers and bottlings. And there’s plenty of range within the category, too. For starters, distillers are experimenting with different rye varietals, including heritage grains: Hazlet, Merced, and Abruzzi were among the specific rye breeds called out. Meanwhile, innovations range from “desert-aged” rye whiskies, with surprising delicate floral notes, to a wine-­barrel ­finished rye blend from High West that gives a head start on your next Manhattan. A growing number of ryes are also bottled at cask strength and feature stunningly high proofs. So many wonderful whiskies from which to choose. Is rye what’s in your glass? As the popular Twitter hashtag asks, #RyeNot? WhistlePig 15 Year Rye (USA; WhistlePig, Shoreham, VT); $200, 97 points. This remarkably complex sipper leads with caramel and vanilla, then reverberates with rounded dried fruit, sherry and almond, fading into a long, gentle baking spice finish. Made with 100% rye sourced from Canada, this is finished in barrels made from Vermont oak and bottled in Vermont. High West Yippee Ki-Yay (USA; High West Distillery, Park City, UT); $65, 96 points. Attention wine lovers: this fab bottling with the cowboy label is made with a blend of straight rye whiskies finished in two wine casks, formerly holding vermouth and Syrah. The result is a deep ruddy amber hue and a strikingly concentrated flavor profile. Look for warming layers of caramel, toffee and espresso, drying to leather, zingy orange peel and spice. Sip or mix into Manhattans or any drink including sweet vermouth. George Dickel Rye Whiskey (USA; Diageo North America, New York, NY); $25, 95 points. On the smoother, sweeter side of the rye spectrum, this whiskey offers a restrained aroma that mixes vanilla and oak and luxe, bold flavors that resound with ­cigar wrapper, leather, toffee and cocoa. The long finish is perked up by a fleeting cut-apple freshness, marked by allspice and clove. Cocktail friendly. Made in Indiana, bottled in Connecticut. Best Buy. Rittenhouse Straight Rye Bottled-in-Bond (USA; Heaven Hill Distillery, Bardstown, KY); $25, 95 points. A versatile must-have for mixing cocktails, look for pleasing vanilla, maple and a hint of dried cherry. The finish is long and drying, with plenty of baking spice notes. Best Buy. Bulleit Rye (USA; Diageo North America, New York, NY); $28, 93 points. Ideal for Manhattans and other cocktails, this 95% rye has a malty profile that mixes vanilla, crème brûlée, and a fleeting citrusy zing on the drying, cinnamon-accented finish. Best Buy. Sazerac Straight Rye Whiskey (USA; Sazerac Co., Frankfort, KY); $27, 93 points. The aroma entices with bold caramel and vanilla. The palate is brisk and relatively dry, despite the succulent aroma, showing vanilla and oak up front, and rounding into nutmeg, almond, vanilla and bitter orange on the finish. 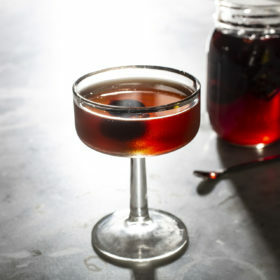 Versatile for cocktails, including its namesake Sazerac. Best Buy. Turley Mill Cask Strength Single Barrel Rye Whiskey (USA; KGB Spirits, Alcalde, NM); $90, 93 points. Aged six years, this unusual “Western whiskey” is scented with rich vanilla and brown sugar. The bold flavor explodes on the palate: tons of vanilla morphs into orange peel and spice cake. It’s cask strength, so dilute to taste; it holds up well, still delivering plenty of bold flavor and a lingering ribbon of vanilla. Koval Single Barrel Rye Whiskey (USA; Koval Distillery, Chicago, IL); $50, 91 points. Burnished gold, this rye has aromas of vanilla and coconut. A faint sweetness shows on the palate, with initial notes of coconut and almond, while the finish is gently spiced and drying. This certified organic whiskey is versatile for cocktails. Hochstadter’s Vatted Straight Rye Whiskey (USA; The Hochstadter Co., Philadelphia, PA); $35, 90 points. The sweet scent hints at pecan pie and orange peel. On the palate, it’s drying and bold, with a markedly fruity characteristic, suggesting red fruit, orange peel and vanilla. Dilution coaxes out a pleasing nuttiness, and dials the alcohol bite back to a pleasantly warming sensation. Made with a blend of five straight rye whiskeys sourced from the U.S. and Canada, aged from four to 15 years. Redemption Rye (USA; Deutsch Family Wine & Spirits, White Plains, NY); $29, 90 points. This is burnished gold in color, with a sweet vanilla-almond aroma and bold, rounded flavors that suggest oak, vanilla and almond. The finish is slightly hot, with cinnamon and orange peel notes rounding it out. Made in Indiana, bottled in Kentucky. Best Buy.